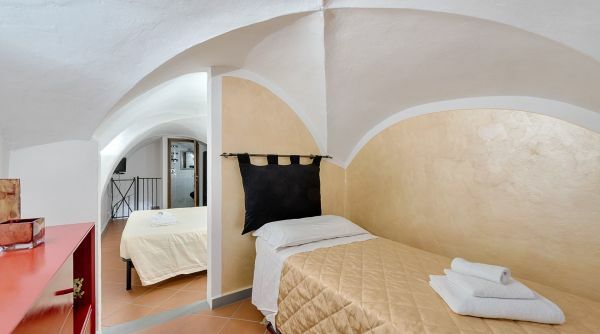 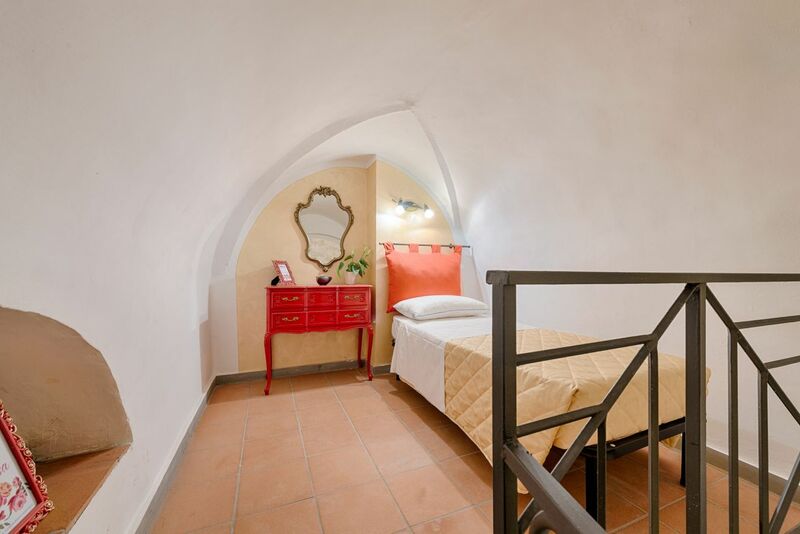 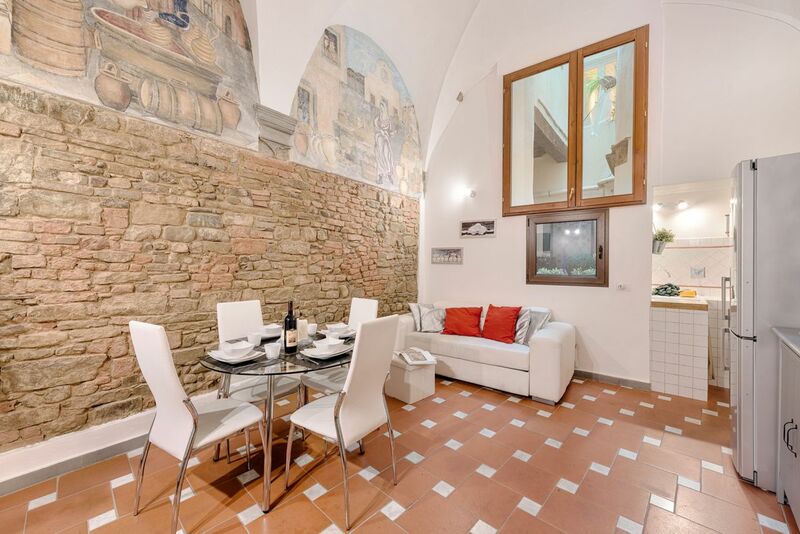 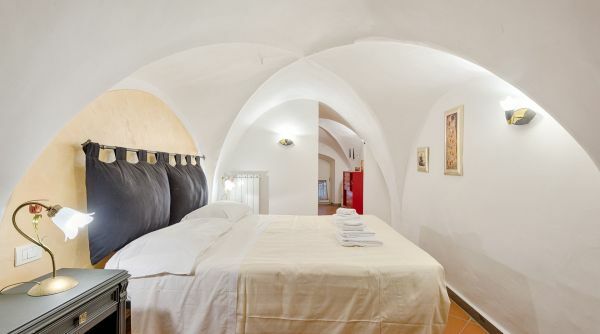 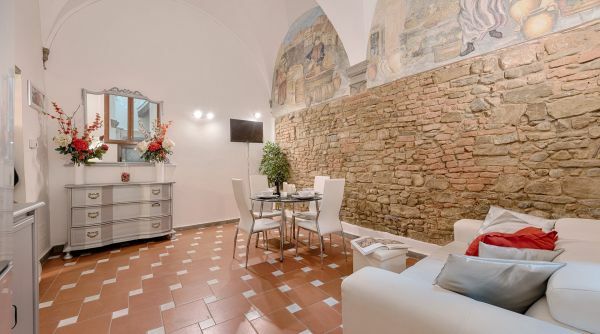 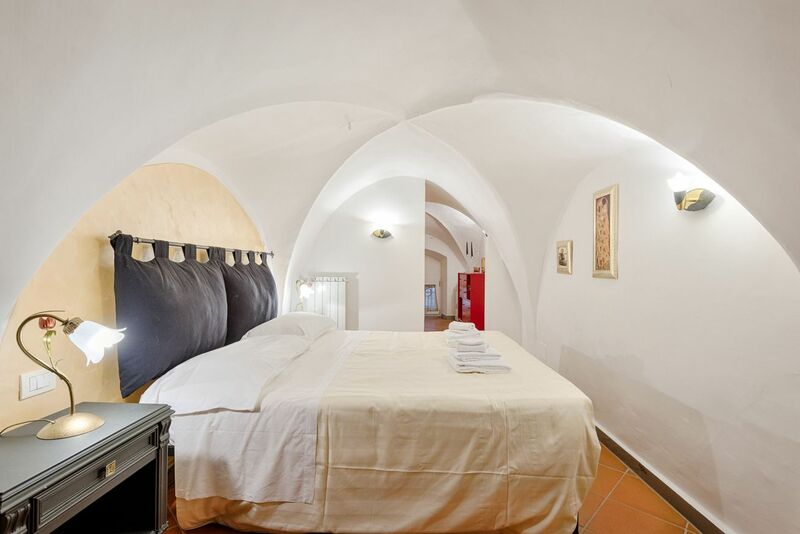 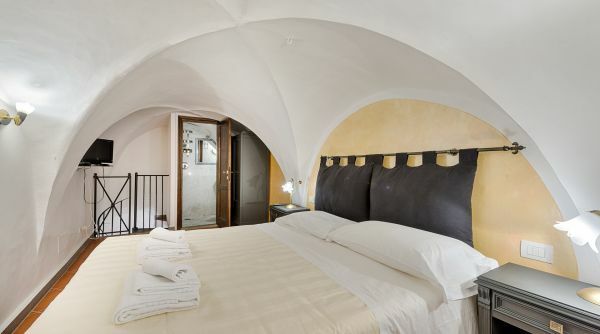 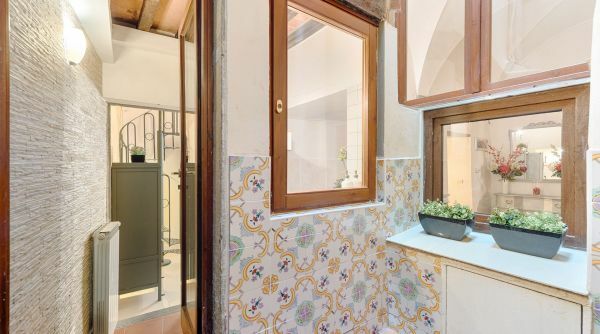 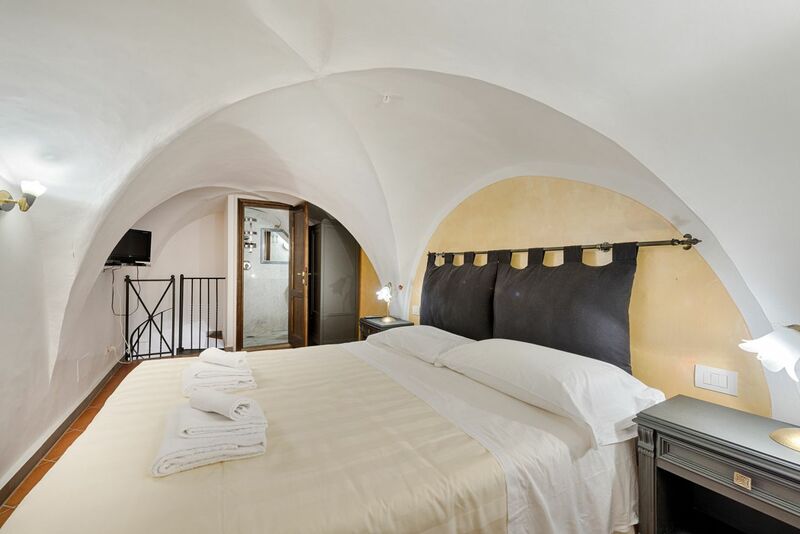 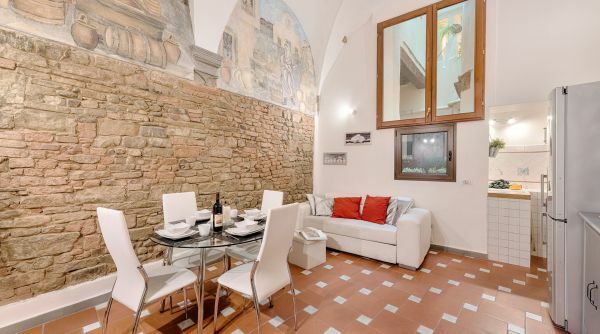 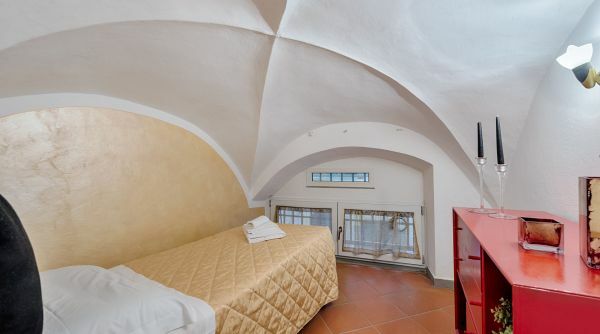 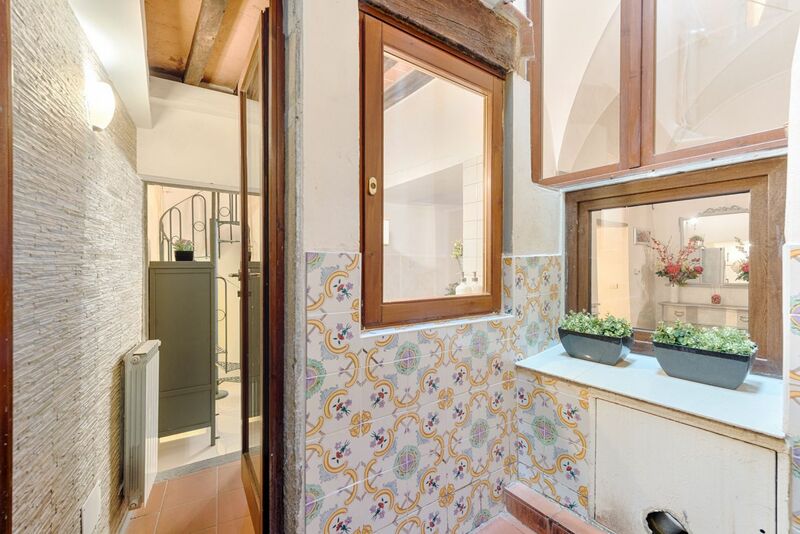 Santo Spirito Frescos is a big apartment, 90 square meters - 969 square feet, located in Borgo Tegolaio into the heart of the neighborhood of Santo Spirito in Florence. 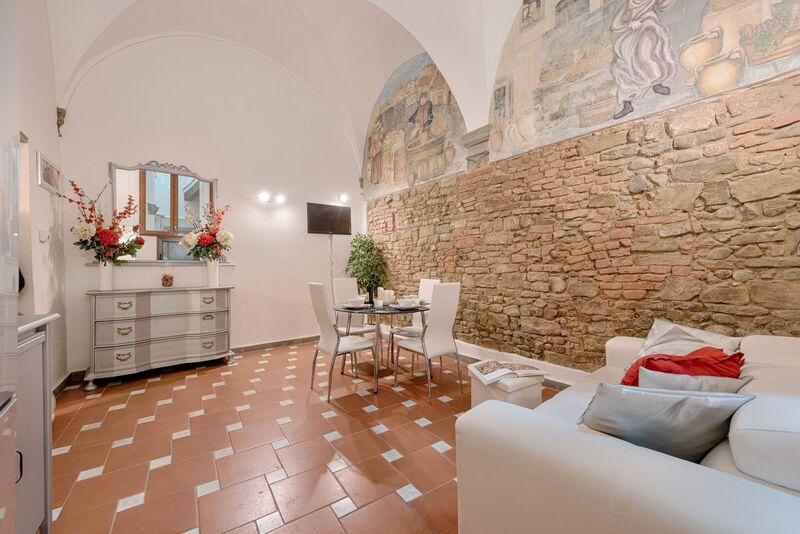 A very nice house, beautifully decorated, embellished with frescoes and stylish details. 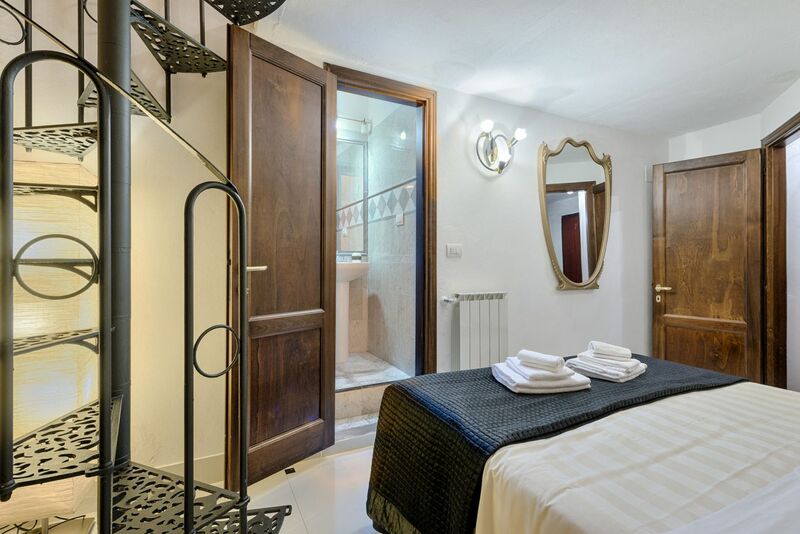 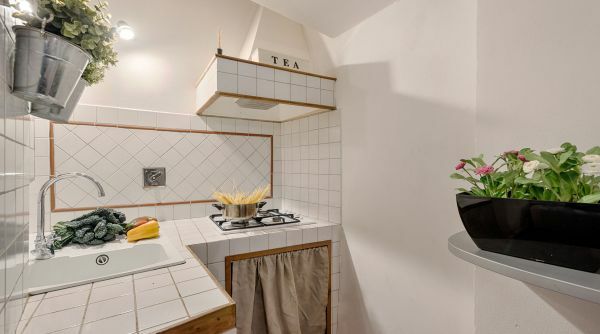 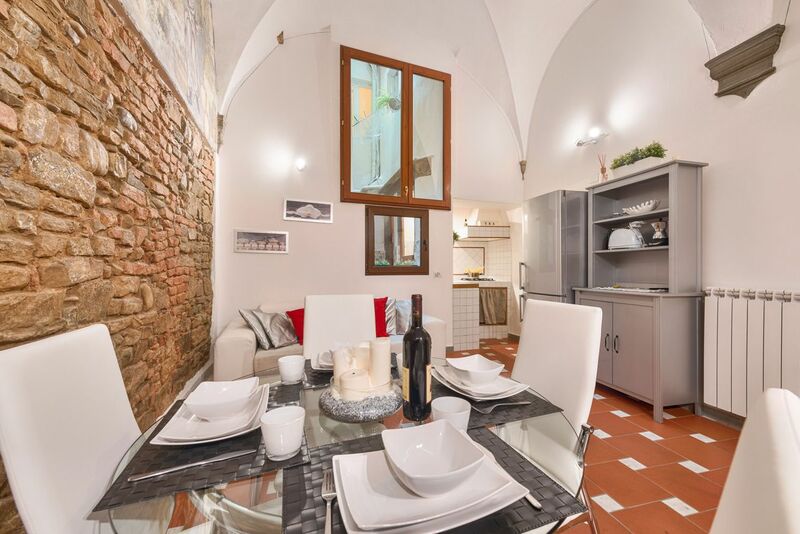 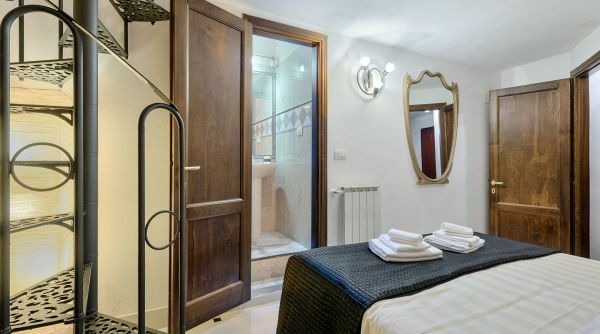 This property an accommodate up to 8 people, a rarity among the apartments in the city center, and is composed by 3 bedrooms (with two double bed and two single beds), 2 full bathrooms with shower, a kitchenette and common spaces with a double sofa bed. 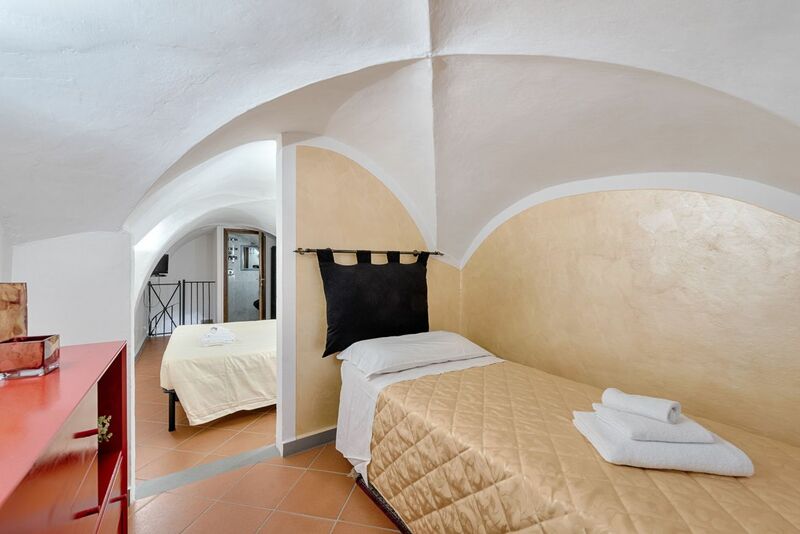 Available both for short stays and long term rentals, this apartment represents an ideal choice both for families and large groups of friends. 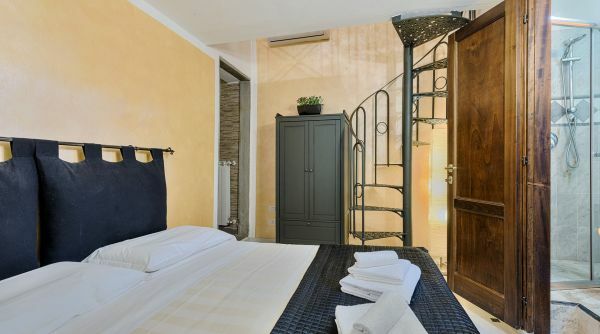 Here you will have air conditiong, internet Wi-Fi and independet heating. 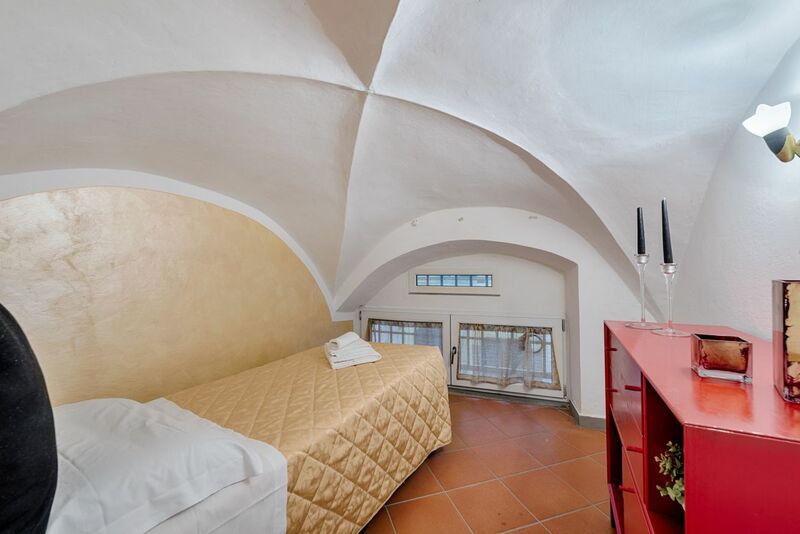 A big house located into the lively neighborhood of Santo Spirito, the most authentic among the historical districts of Florence. 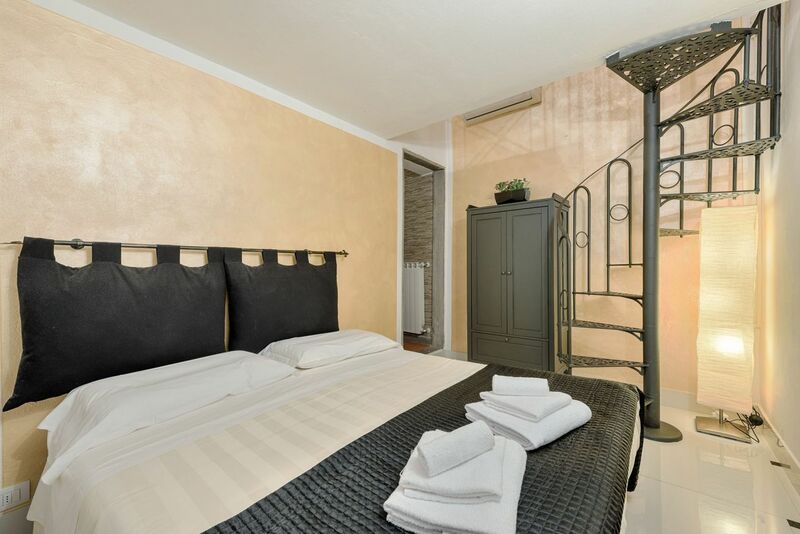 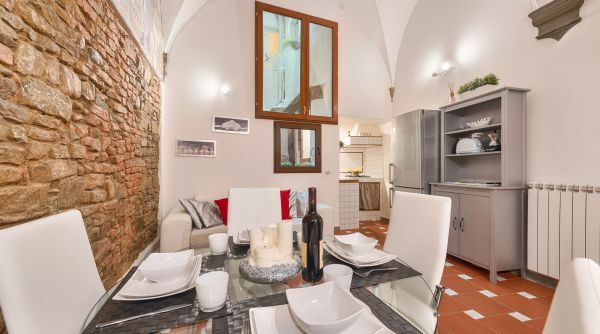 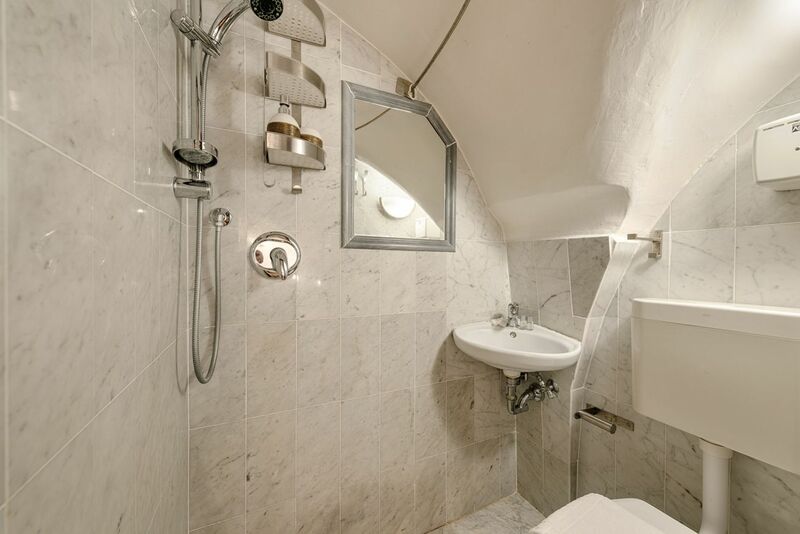 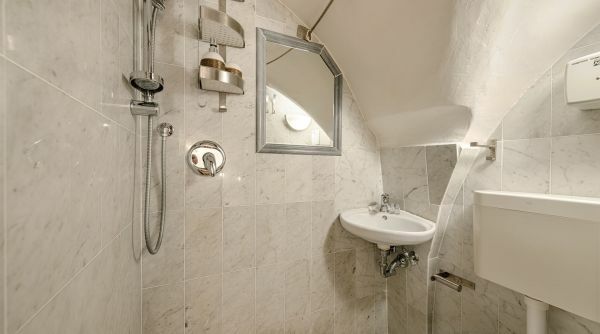 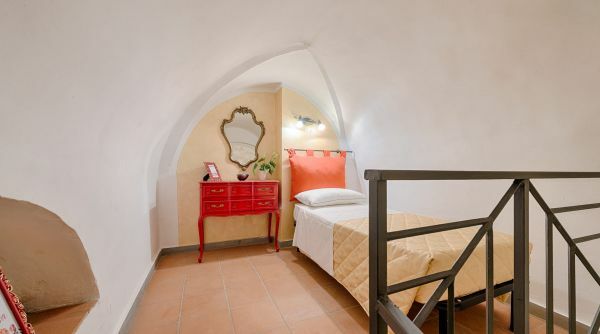 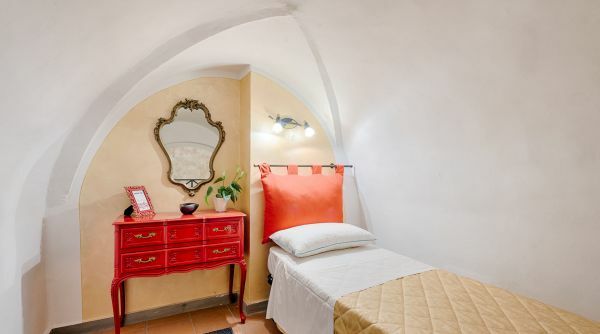 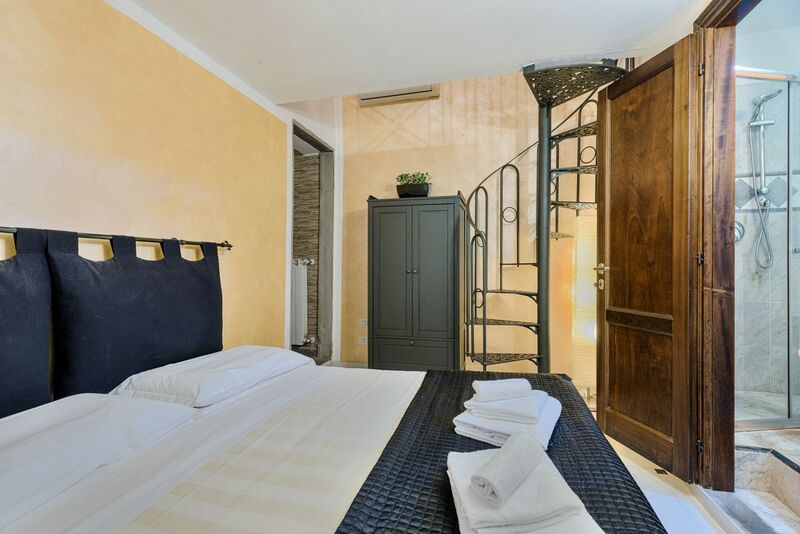 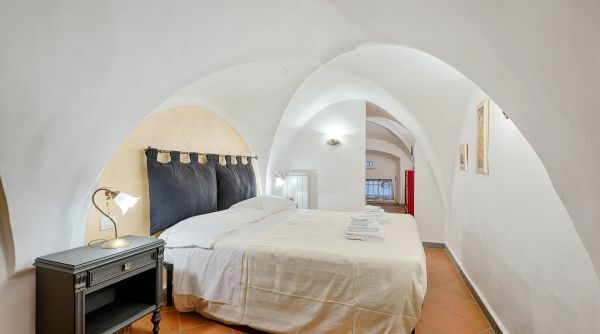 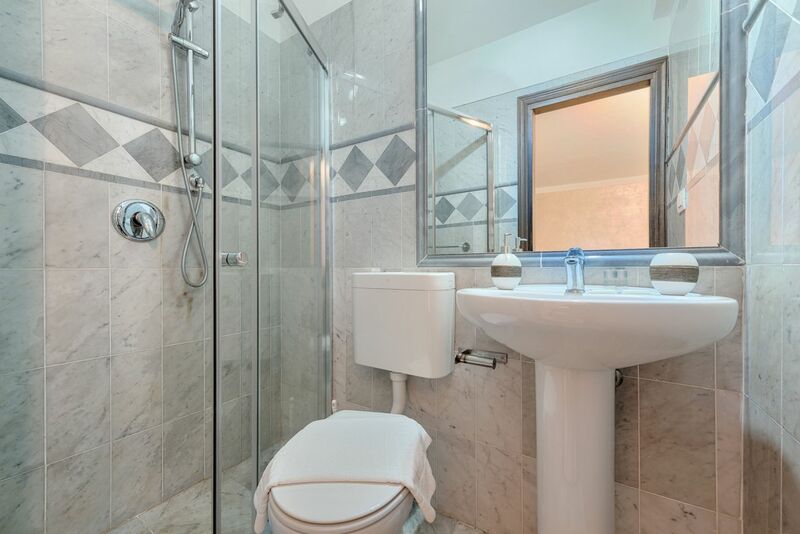 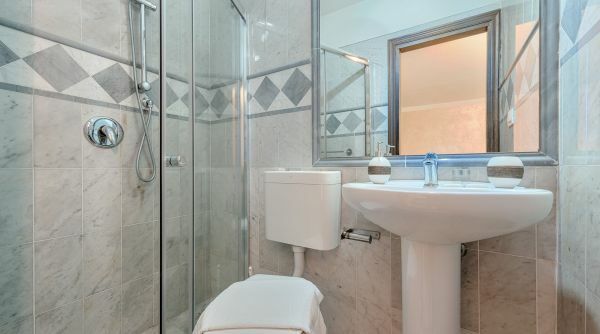 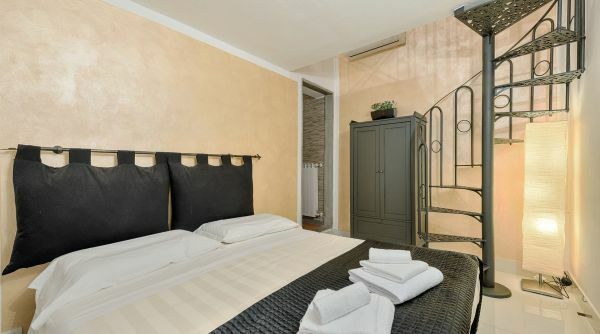 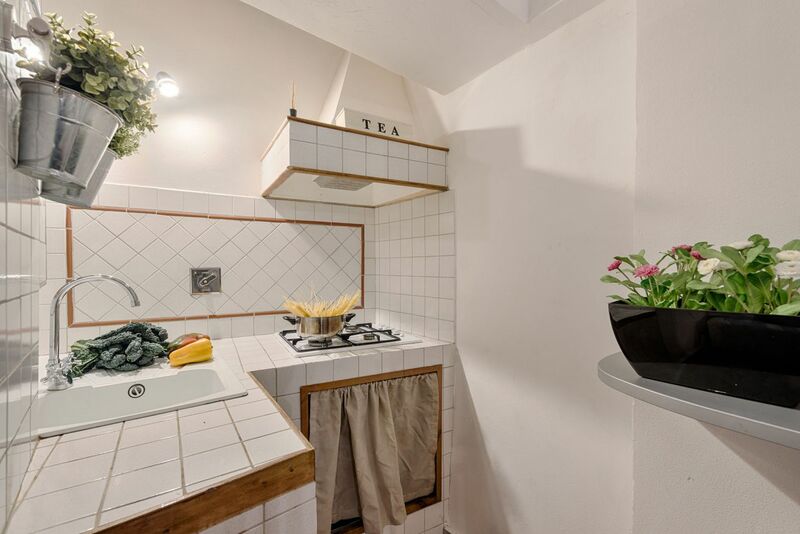 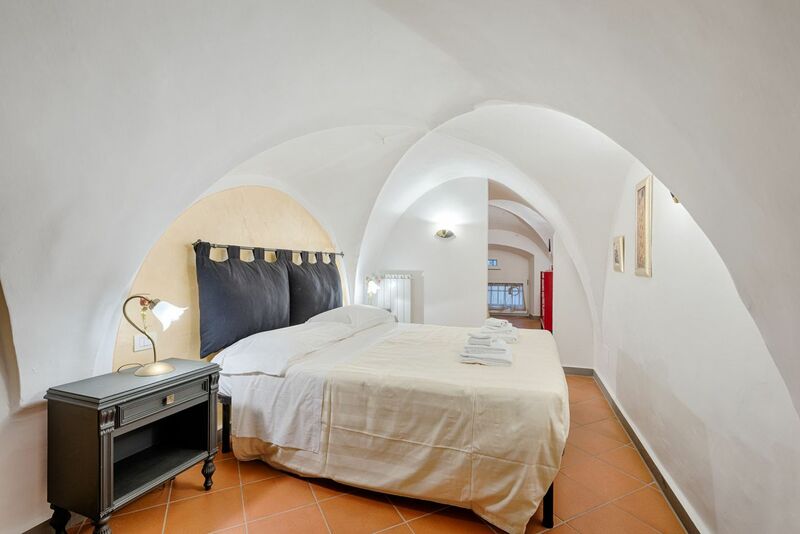 This property is an excellent starting point to visit the city, all the monuments are within easy walking distance: it takes only 10 or 15 minutes to get to the Duomo, the Uffizi Gallery or Ponte Vecchio. 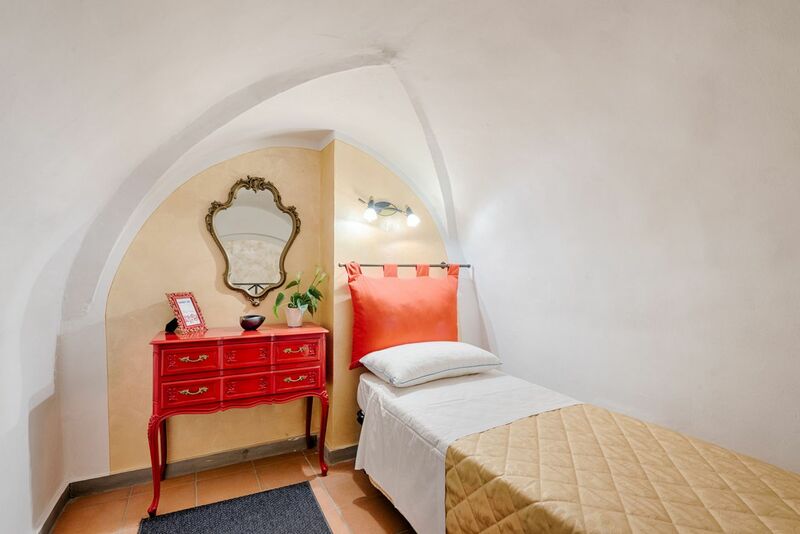 Around the house there are many shops, bars and restaurants; in particular, in Piazza Santo Spirito there are many clubs where you can spend some quality time during the evening.